COUNTRY LIVING CLOSE TO TOWN!! 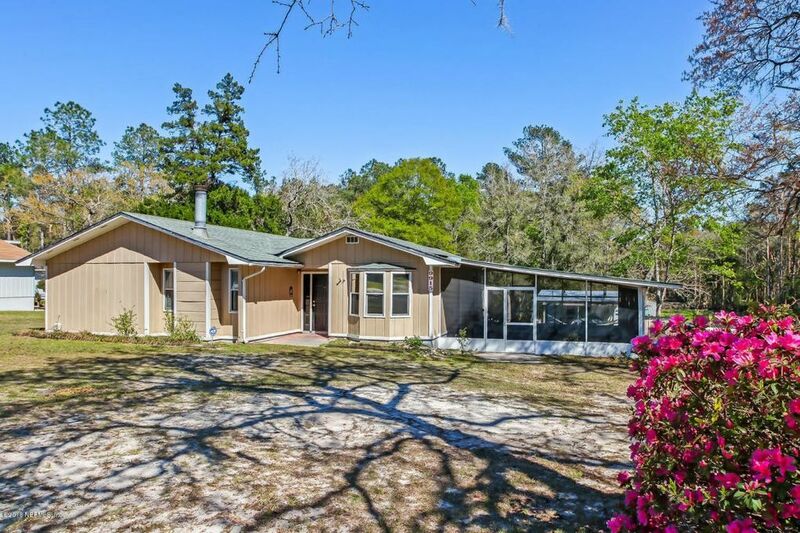 This 3 Bedroom 2 Bath home is situated on just under 3/4 of an acre. With 1,674 square feet of living space the possibilities are endless! Large Country Kitchen has dining space and plenty of storage. Living Room & Family Room are open and filled with natural light. Master Bedroom and Bath are spacious. Outdoor lover's delight with large screened in porch and covered porch perfect for outdoor entertaining and relaxing. Lots of room for a garden. Property overlooks the south prong of the Saint Mary's River and is only 30 minutes from Jacksonville. $3,000 flooring credit! A/C is 3 years old. Roof is 10 years old. Well water with eradicator filtration system and reverse osmosis system for drinking water. Directions: Take Interstate 10 W To Glen St. Mary Exit. Head Right 1/2 Mile, Take Right On Andrews St To End Of Paved Road, Take Left. 2nd Home On The Right.